Up to a day ahead, toss the tomatoes, sugar snap peas and onions with the dressing and refrigerate. 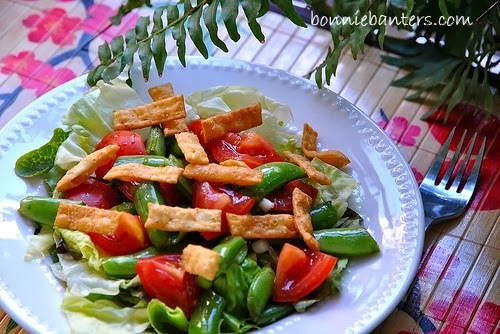 Right before you serve, add the lettuce and sprinkle with the wonton strips. You'll enjoy how they go back for seconds on this salad!